The page, referred to as “Death to zionst baby killer israeli jews," that incorrectly spelled "Zionist," showed a picture of Israeli Prime Minister Benjamin Netanyahu dressed as a evil spirit, with blood dripping from his chin, consistent with the Washington Examiner. A Facebook interpreter confirmed to FoxNews.com Tuesday that the page had been taken down, saying, "We've removed this page for violating our Community Standards. though the page was antecedently according, it had been erroneously allowed to remain on Facebook. we tend to removed the page as shortly as we tend to were created conscious of the error. we tend to apologize for the inconvenience. 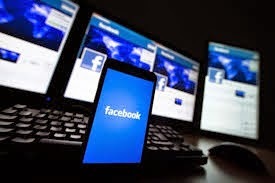 Facebook has removed a page career for the death of Jews, once multiple users complained it had been hate speech and a gross violation of the social network’s standards. The page was created on Gregorian calendar month twenty five, as Israel continued its operation against terrorist organization. Facebook at first explicit that the page "doesn't violate our community standards" in a very message announce on the page, the Examiner according. The social media big, however, later removed it.